Select an architect from the list below. Browse building images by building name. View images by building type. View images of buildings by campus location. View building images by building style. 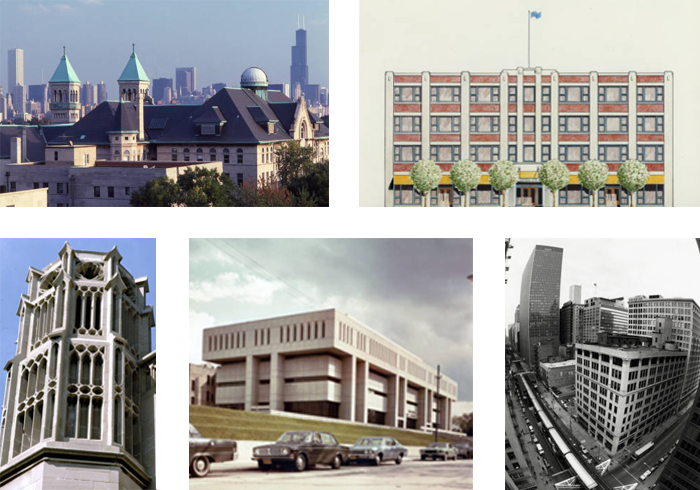 The photographs and images of DePaul buildings included in this digital collection date from 1898 to the present. Images include groundbreaking and dedication ceremonies, the construction and demolition of buildings, and aerial views of DePaul and the surrounding neighborhood. Original photographs are held in DePaul's Special Collections and Archives Department. This site will be updated as more building photos are scanned.